5 am on the morning that the clocks changed, how cruel is this RD?!? And the alarm goes off, final preps stumbled through, ice scraped off the car before registration and a 7 am start time. The Canalathon race briefing was simple, run to Manchester, run back. If you get timed out don’t argue, just accept it and come back again next year to try again, simple. I think the 13 hour cut off had definitely had an effect on the number of entries, averaging 12:30mm shouldn’t have been too much of a challenge but take off that stops at CPs and any time wasted on navigational errors and it was looking a bit tighter. There were only 52 registered and as it was only 36 showed up; only 4 females. This was going to be a potentially long lonely run, not helped by a complete ban on headphones. I’d have to keep myself amused. 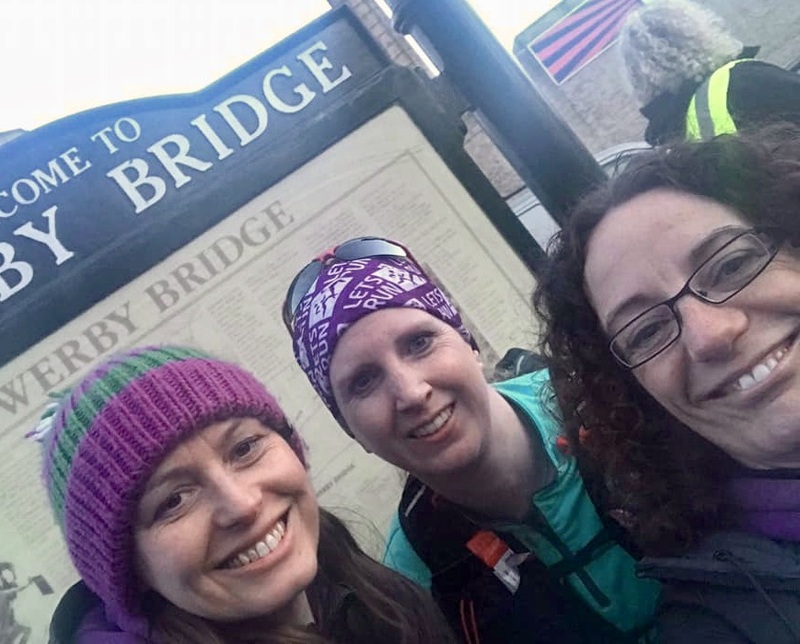 7 am and we were set off, running down the streets of Sowerby Bridge then onto the canals and in the first mile of the race, people’s intentions became clear. No one was hanging about. I’d intended on sticking to a 9 min run, 1 min walk for as long as possible but to warm up the legs decided to run the first couple of miles which allowed me to settle into a nice little group of 4, in joint last place averaging 10mm! As the rest of the field disappeared into the distance decisions had to be made, did I stick to my original plan and take up the last place on the theory that the others were either superhuman or had gone out too fast, so would be caught later? Or did the plan go out of the window and I try and stick with the others at the back. I figured the original plan was more likely to result in me finishing but the run-walk was at a quicker pace than ever should have been sensible, I wanted to keep the others in sight. 5 miles in and the route crossed a road, the towpath disappears in places so you have to deviate off then back on, but as I was trying to vaguely keep up with the group in front I wasn’t concentrating and followed them up the road. What’s an extra ½ mile when you’re already at the back and pushing the time limits? Only on ending up in the middle of Hebden Bridge did I shout the others back and we managed to get ourselves back onto the towpath. 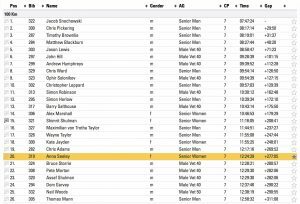 I briefly managed to end up 4th last as I’d turned back first but that didn’t last long and soon I was tail running the field again. 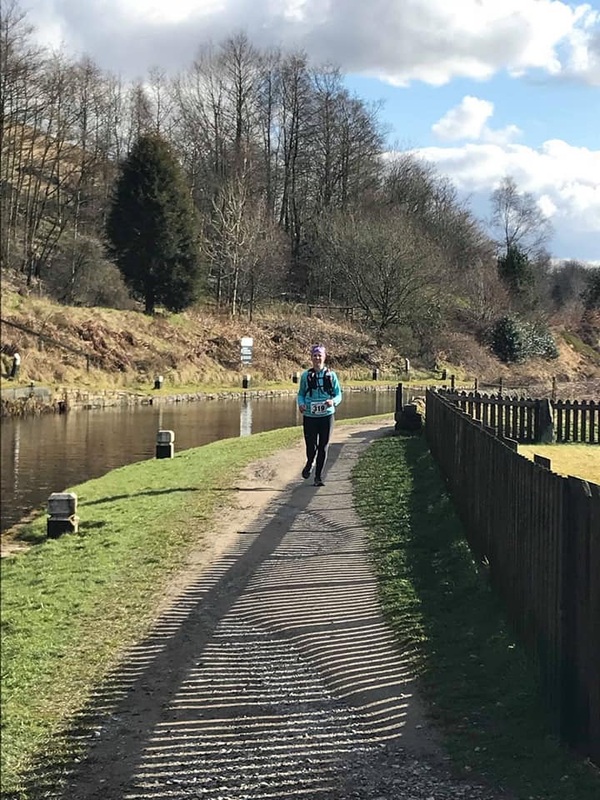 Another navigational error at Todmorden saw more time lost but I finally got to CP1; an extra mile in total added onto the route by this point. I think being last unfortunately meant that the food that had been put out for the 100Kers had been demolished and fresh supplies hadn’t been put out, so no food picked up here. A quick cup of coke was downed before it was onwards and upwards. From here the canal started to properly climb up to the Summit Inn. Locks were getting closer and closer together and each climb at the lock seemed to get steeper. Luckily the scenery in this section is definitely the prettiest experienced along the canal and this acted as a nice distraction to the task at hand. Beyond the summit, the downhills after every lock, rather than the gradual uphill grind, were greatly appreciated and the next few miles flew by, helped by the steady flow of 50K runners coming the other way who were all so encouraging of us 100K nutters. The sun had come out and it was really quite a nice day, so different from the horrible conditions we’d faced in training in the run-up to the race. 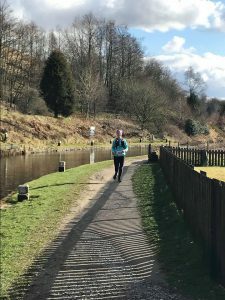 CP2 was really crowded with the 50Kers coming the other way so it was a matter of grabbing a couple of Jaffa cakes, a cup of coke and legging it. Shortly after this, the lack of food and fluids started to hit. Going too quick and running through CPs was not on the plan. I never trust races to provide decent food at the CPs so I was carrying enough with me to get by but nothing was appealing. Forcing a bar down over the next few miles I started to feel a bit more human and gradually I started to catch a few runners. The canal heading towards Ancoats starts to go through some dodgier areas at times so there was no hanging about and I’d heard a couple of messages come through but wasn’t going to dig into my bag to find my phone. With about ½ a mile to go to the turnaround point, I spot a couple of purple hoodies… was this a mirage? Was I hallucinating? Or had our wonderful Captain and Vice-Captain come down to support?!? Yup. As I got closer the latter became apparent and what a pleasant and appreciated surprise that was. 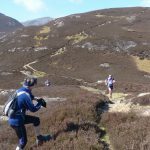 50K is a long way to run alone and knowing you were about to turn round and run the whole thing back again is enough to start to play games with your head. 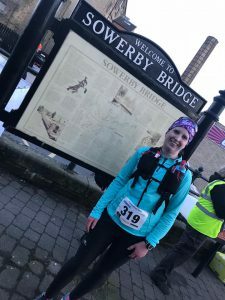 Knowing that I had friends who had taken their time to come down and cheer me on meant that a DNF was not going to be on the cards, whatever happened. I did then run off and leave them to get to the CP, I needed to have the distance ticked off. A quick catch up at the CP and it was time to make the return journey, retrace my steps hopefully minus the navigational errors. Having run downhill for the last 17 miles it was a gradual uphill again for 17. The run-walk was being dictated by the locks which were messing up my rhythm and it was between the halfway mark and the CP at 42ish miles that the wheels well and truly came off. It was here that I struggled the last time I ran this race, with the result being me DNFing at Rochdale. I wasn’t going to let it happen again. A lad on a motorbike kept riding up and down the towpath which was freaking me out slightly, as in a tired stumbly state with fairly deep water to your side you don’t need any extra distractions. A lot of families walking and on bikes were also around along with dogs on extendable leads, all making life more difficult once you’ve lost the ability to steer. There was less and less running and more and more walking and I could feel the time I’d built up slipping away. 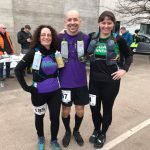 Now was not the time to panic, a constant drip feed of shot bloks and fluids kept me going but I knew despite feeling sick I was going to have to eat something at the next checkpoint. Due to going over distance on the way out I couldn’t work out exactly where the CP was distance wise on the way back and one bit of industrial canal looks very much the same as another bit so the sight of purple hoodies again was fab. I was just hoping that they hadn’t run out from the CP to find me. Luckily not and with Catherine sent on the hunt for chocolate milk I walked the final stage. More coke, a couple of Jaffa cakes (this eating of food thing just wasn’t happening), and chocolate milk and I was sent on my way hoping I wouldn’t be sick after consuming such a ridiculous combo. While walking with Kerry I’d been talking about the Summit Inn and saying that even though it wasn’t the halfway mark on the return journey it would feel like it was, as beyond there it’s downhill and I knew that I would get to the finish. My pace was still dropping but I knew that once we stopped climbing I would start to run more again and it would improve. Due to the first overly speedy 50K, I had plenty of time in the bank and for the first time in the day wasn’t last. There weren’t many behind me but knowing there was at least someone was reassuring. A message asking me to let them know when I could see the pub made me wonder if they’d decided to come to there to support rather than the next CP and sure enough a beer holding mirage appeared. Never has beer tasted so good or produced such an improvement in both mood and performance, I positively flew down the next few miles to CP5 with a smile on my face. CP6 was only 5 miles further along the canal as they decided to position one on the road crossing that had been our downfall on the way out. 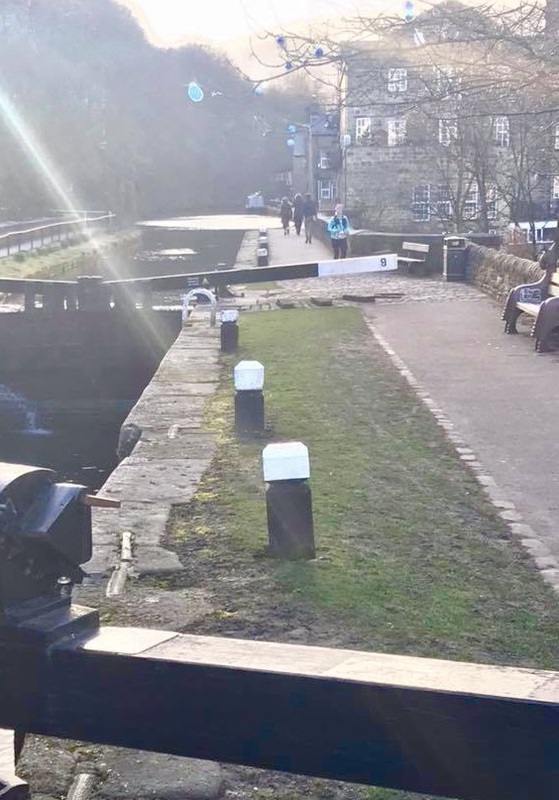 I managed to find the little footbridge over the canal at Todmorden on the return journey so no wasted time or effort there and it didn’t seem like anytime at all before the support reappeared. As I walked along to the CP with them I was repeatedly steered away from the edge of the canal by an increasingly highly pitched Catherine. 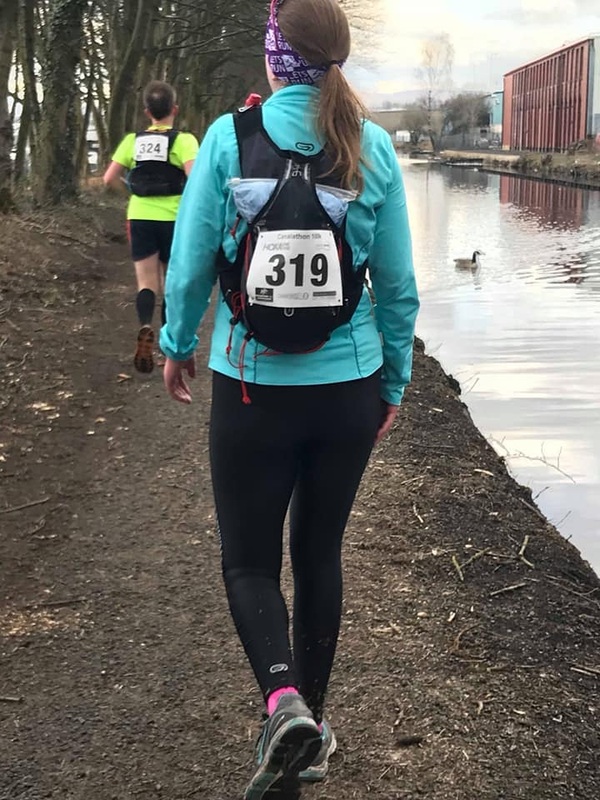 The recent wet weather meant the towpath was rather muddy and slippy in places and I think she could envisage a rather soggy end to my race. Luckily without any mishaps I got to the last CP only to find out they’d run out of coke, vile tasting energy drink would have to do instead. Last 5 miles and time to walk them, if I needed to, but I could smell the finish and suddenly the competitive side of me decided to kick in. 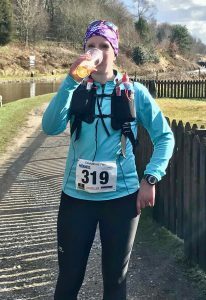 I’d overtaken 3 guys on the way to the last CP and there was no way they were catching me and I had another runner in sight, so 59 miles into an ultra I decide to give chase. 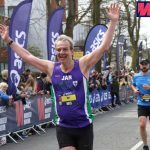 Not knowing how far I actually had to go didn’t really help but soon enough I’d caught and passed that guy and shortly after that, the finish appeared wahoo!! Never have I been so glad to finish a race. 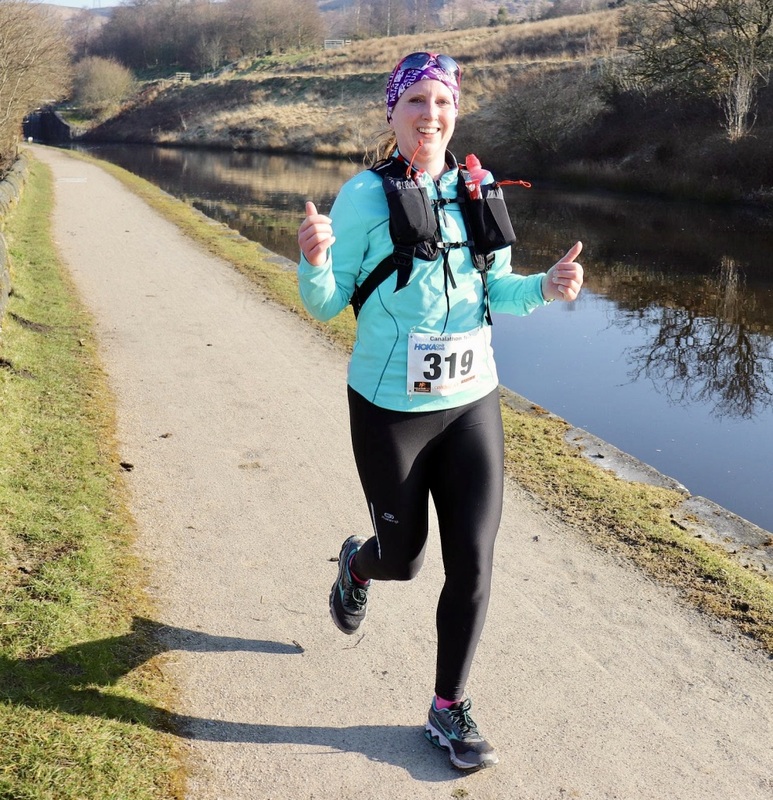 Having DNFed my previous 2 canal ultras, never having finished one despite running further on what would be classed as “more difficult” courses I just wanted a finish time and I’d done it. In the end. I was 20th out of the 26. A quarter of the field dropped out. Canal ultras are tougher than they should be on paper. 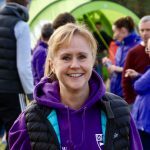 Would I recommend the race? If you like canals and flat routes and don’t mind running on your own for large sections then yes, the CPs are well spaced out and the marshals are super friendly. I, however, am never ever running along a canal again, give me hills any day. 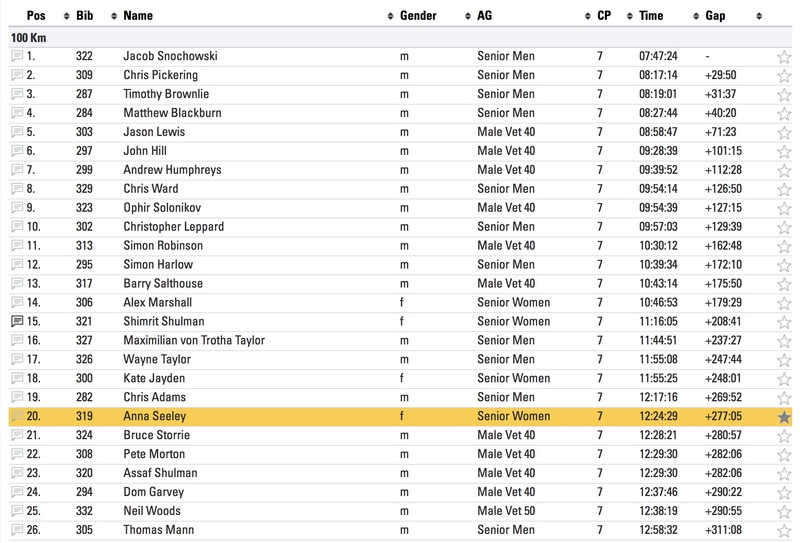 Excellent race report. Lots of detail for those looking at doing the event in the future, which i am. very helpful. Well done on the 100km. Top stuff.